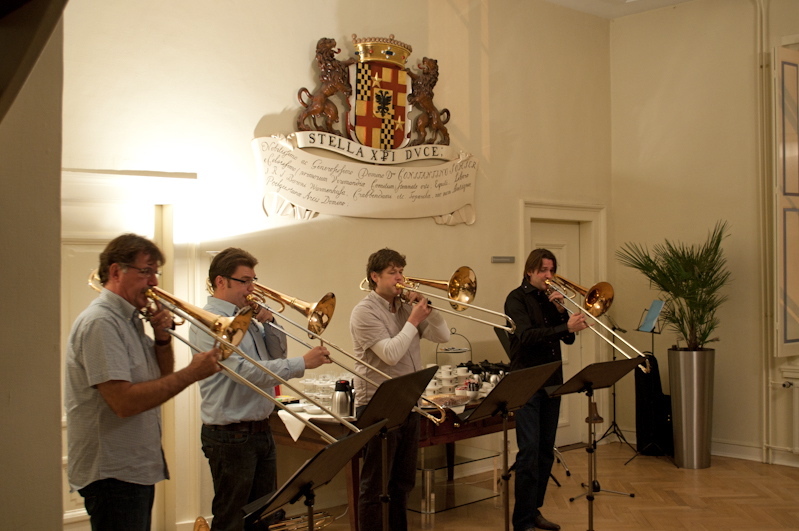 The third edition of the "Dutch Bass Trombone Open" came to an end. 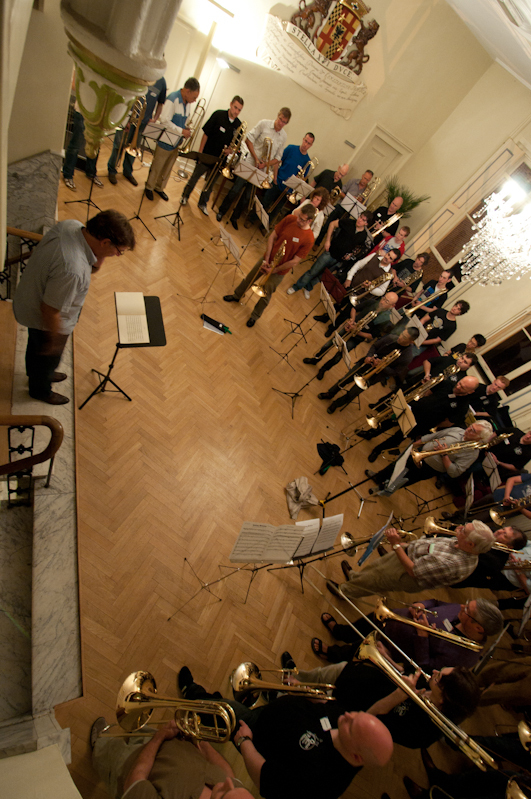 and having just a good time together with more then 50 bass trombonists from all over the world. For me the third edition was very special because of having 3 of my former students as co-teachers during this event. Brandt Attema, Jos Jansen and Martin van den Berg joined me and they gave a super presentation of their capabilities! 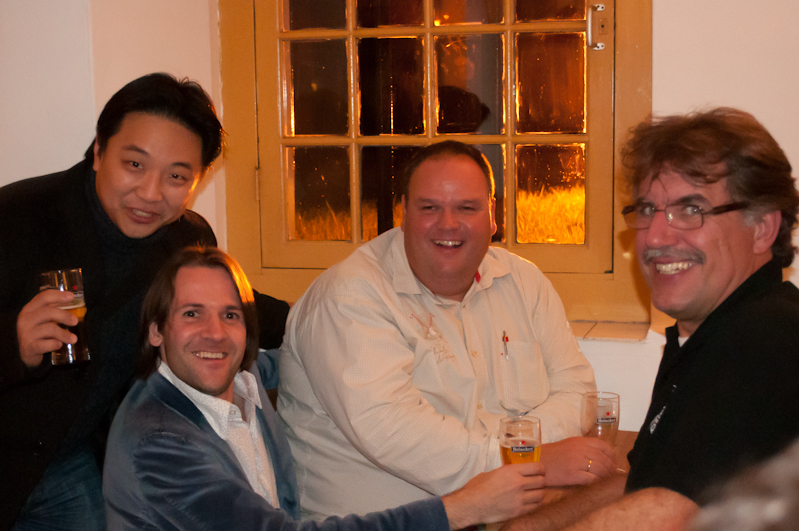 Again the organisation in the hands of Marcel Schot and Bert Damsma was super! about this event then words! 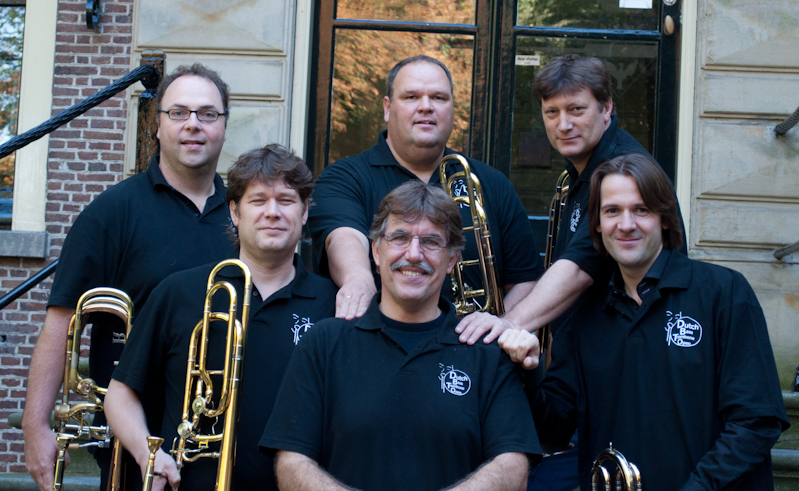 An impressive group of bass trombonists! 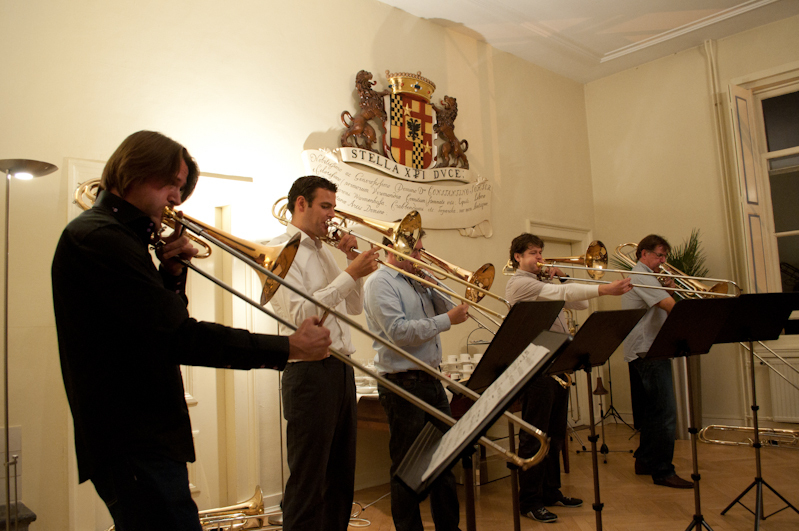 concert with different set-ups of bass trombone ensemble music. 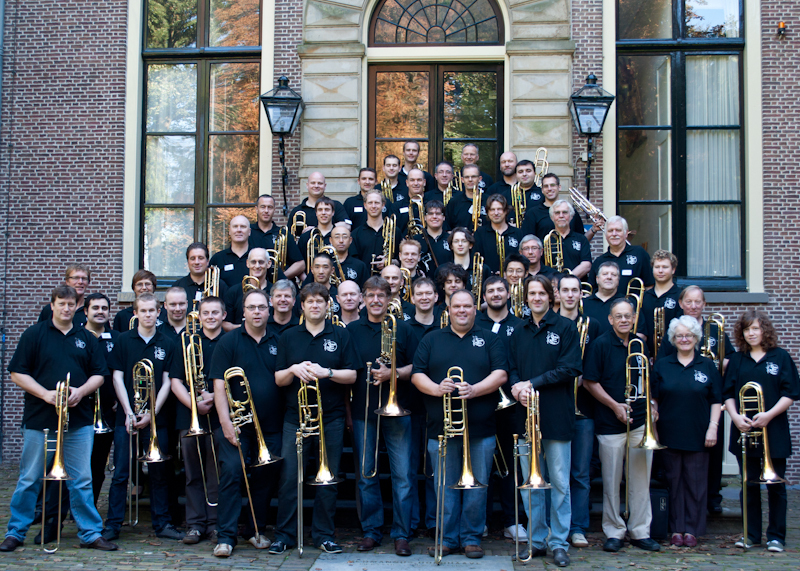 Martin Schippers and Wouter Iseger to join us for this concert. 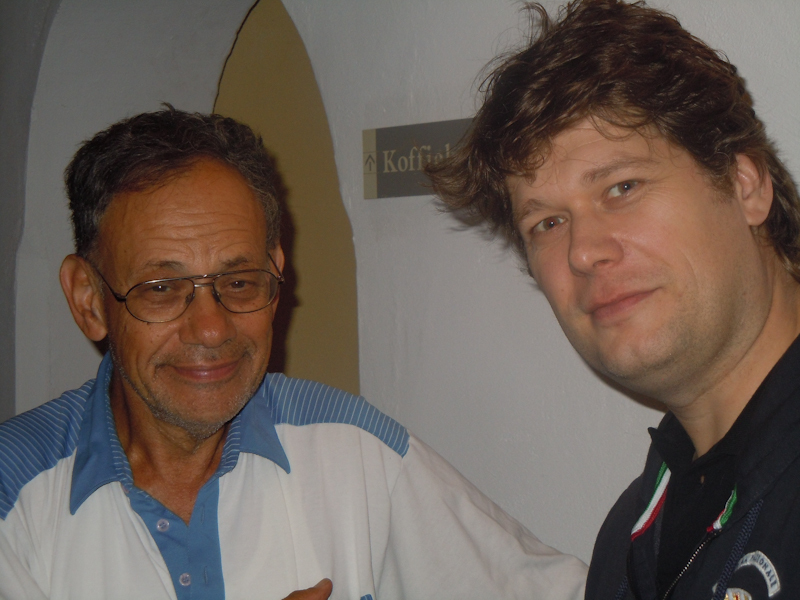 Both studied at the Codarts Conservatory, Wouter with me and Martin with George Wiegel. 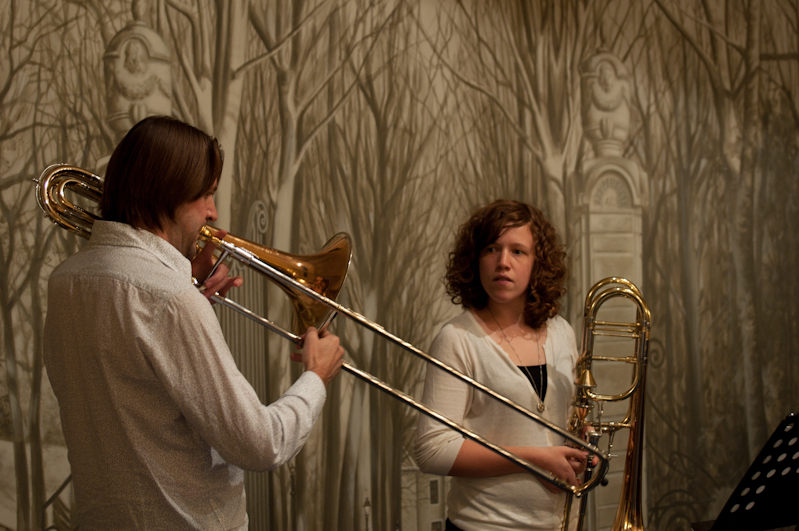 We performed duets, trios, quartets and my arrangement of Wagner for bones! 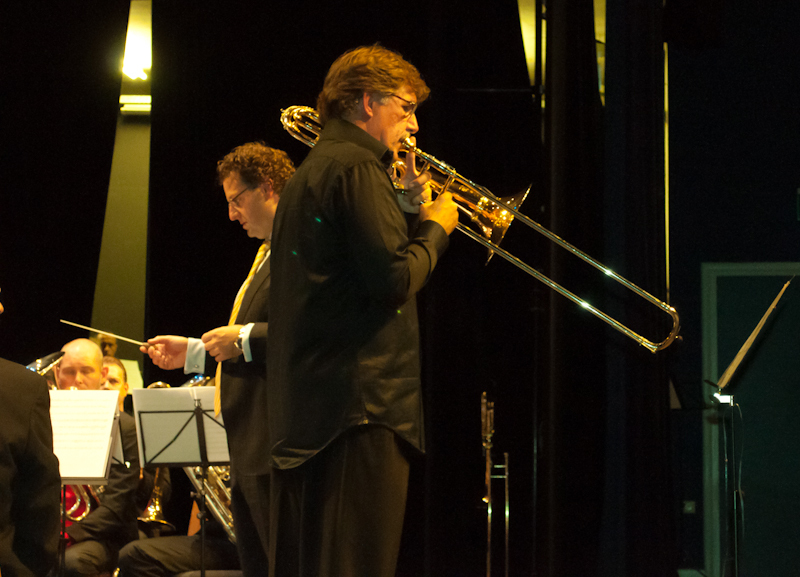 Jos Jansen showed his mastery of bringing humor into the bass trombone world. Always done with the highest quality! Brandt giving a masterclass! Showing his wonderful relaxed way of playing the basstrombone. 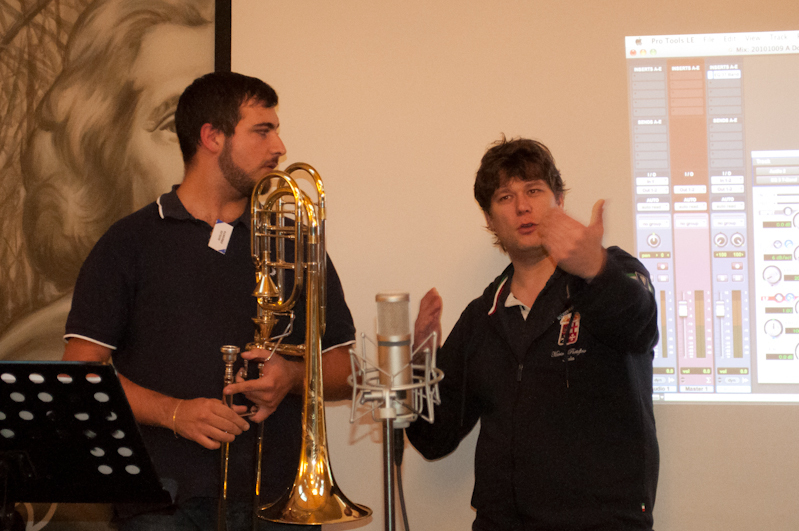 Martin vd Berg gave us his ideas on "how to record the bass trombone"! 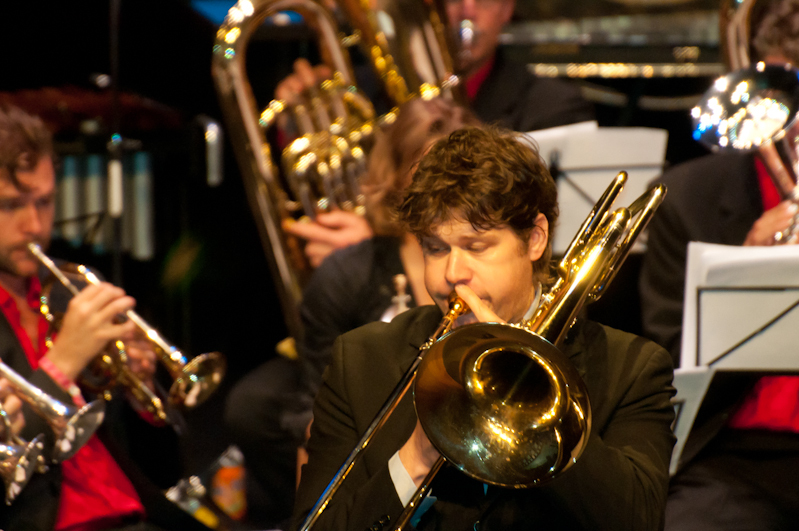 More then 50 bass trombones in an ensemble. This needed a strong hand! Good times in the evening. What a great place and company! Eliezer Aharoni was also one of the participants. Thanks for coming and having a good time with us!! 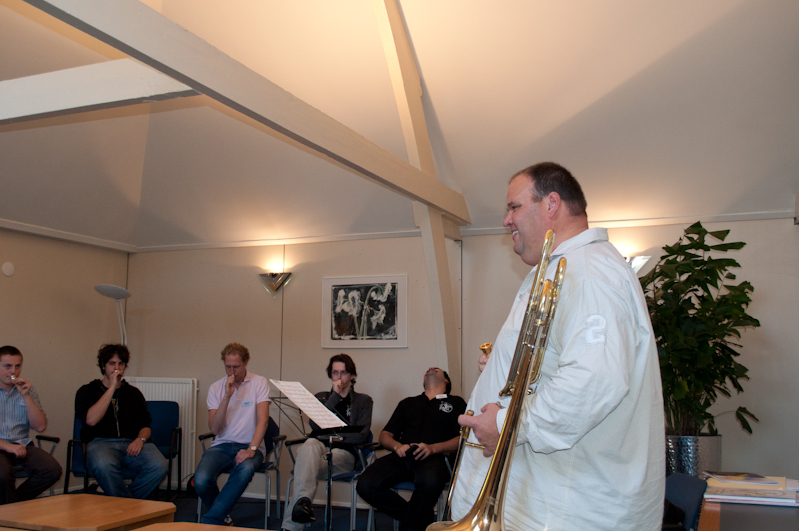 With the Amsterdam Brass, conductor Pierre Volders! A succesful event came to an end. I am looking forward very much to the next edition in 2 years. 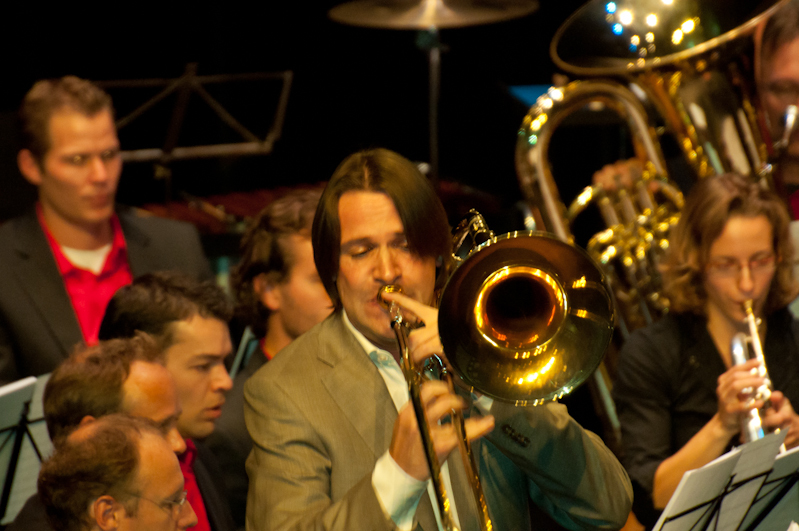 Martin vd Berg, Ben van Dijk, Brandt Attema and Jos Jansen. Great compilation, thanks for your kind words. 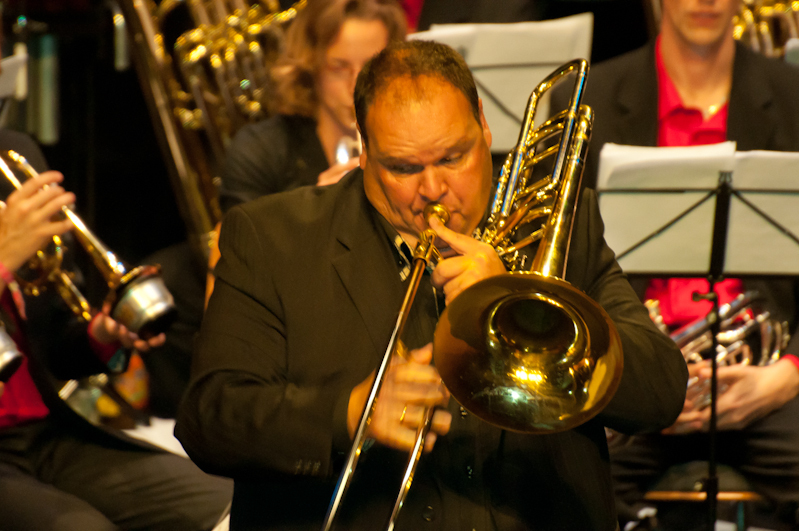 couldn´t have done it with out you, Bert Damsma and all the treachers and ofcourse all the bass trombone players who came to the 2010 edition. didn't know if you'd heard, but David Waters (Houston Symphony Orchestra for many) lost his battle with cancer and passed on a few weeks. There was a celebration at his home and friends, collegues, students and loved ones spent the day remembering David, eating and drinking-one of his favorites-and performing on the stage he had built in his back yard.